Lily is our 1974 Volkswagen Bay Window Van. Different from a VW Camper as she has no side windows but still the same great looks. Lily is a beautiful soft shade of pastel green with fun vintage style sign-writing. 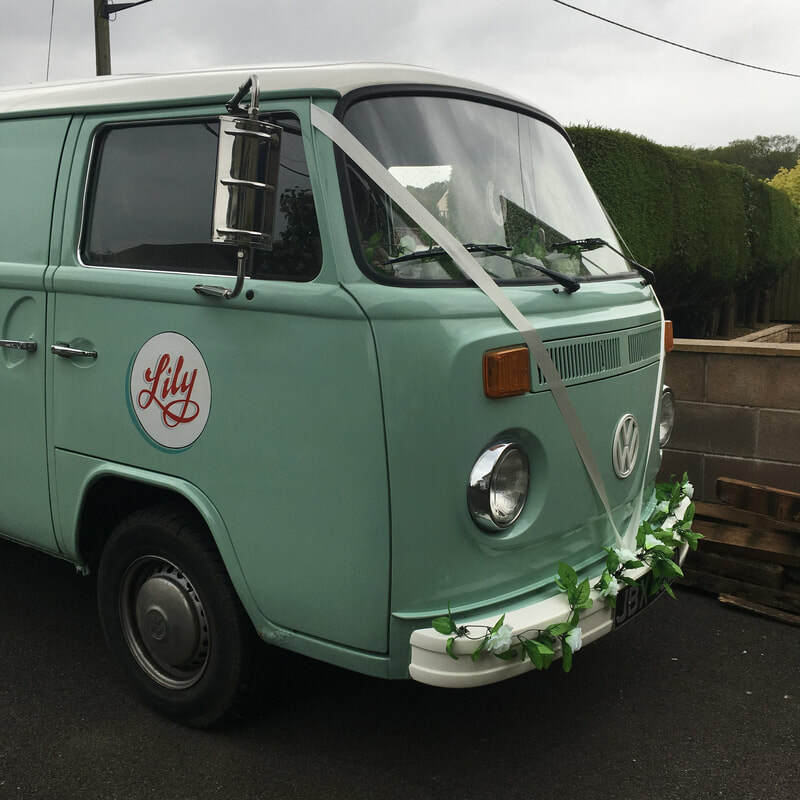 We are currently revamping Lily's interior, when finished she will seat 6 passengers one in the front and 5 in the rear - perfect for your bridal party! 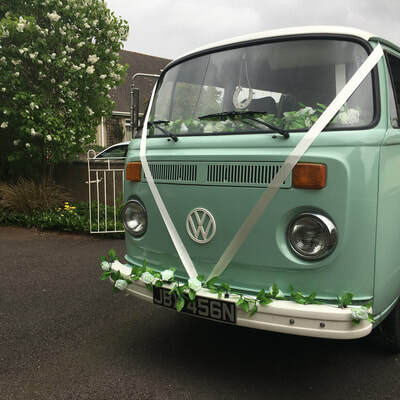 With our standard wedding package Lily will be decorated with ivory ribbons on the front and bunting inside. Coloured ribbon to match your wedding colour scheme can be requested at no extra cost. 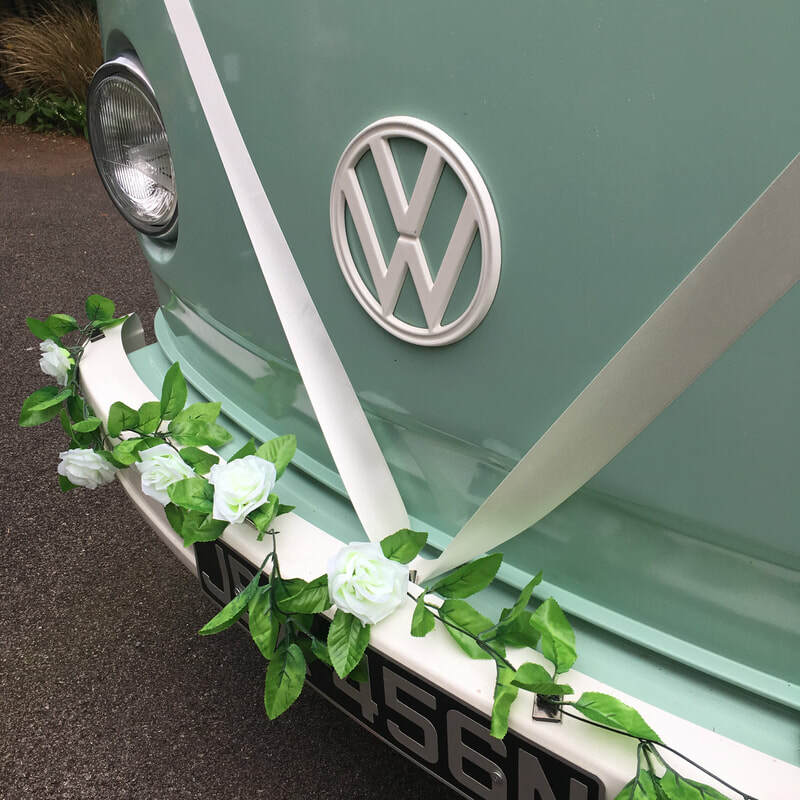 We can also decorate Lily with a flower garlands and 'Just Married' bunting. She might not be a true 'camper' but you'll turn just as many heads! Can carry up to 6 passengers. 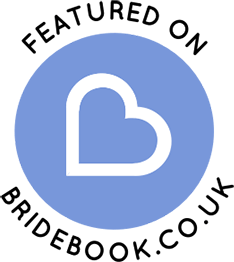 Well behaved dogs welcome on board! In car wedding day basket - including tissues, mints, mirror, water, sewing kit & other essentials. Ivory umbrellas for those British summers and snugly throws for colder days.